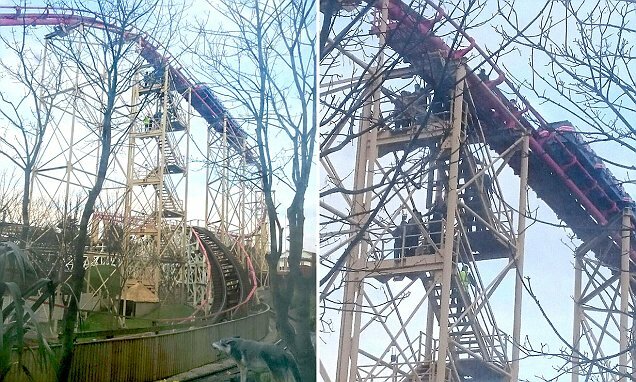 Passengers had to be saved from the record-breaking roller coaster, The Big One at Blackpool Pleasure Beach, after it had broke down on it’s way up one of the slopes. Along with being out of action for more than 20 minutes on a 100ft slope, the people who were stuck on the ride were faced with the daunting task of walking along the tracks of the ride to the nearest staircase. Thankfully, no one was injured in the incident. The year The Big One opened, 1994, the ride had supposedly crashed, injuring 26 people in the process when the brakes had failed. Only 6 years later, 23 were injured again in the same ride when a computer failure had led to a collision. At 205 ft, this roller coaster used to be the tallest and steepest roller coaster in the world, reaching speeds of 74 mph.